Little more than three weeks ago, the legendary producer/director team of Fred Gaudelli and Drew Esocoff had little idea of how a minor New England weather forecast might alter their high-profile world of NFL broadcasting. “Whoever said necessity was the mother of invention knew what they were talking about,” laughed Gaudelli during a conference call with reporters this week, where NBC Sports discussed its plans to experiment using a dual SkyCam WildCat aerial camera system as its primary camera angle during tonight’s NFL game between the Tennessee Titans and the Pittsburgh Steelers. It’s an angle that football viewers — and players of the Madden videogame franchise — have become familiar with over the years, but it has never been used as the primary camera angle for an entire NFL telecast. 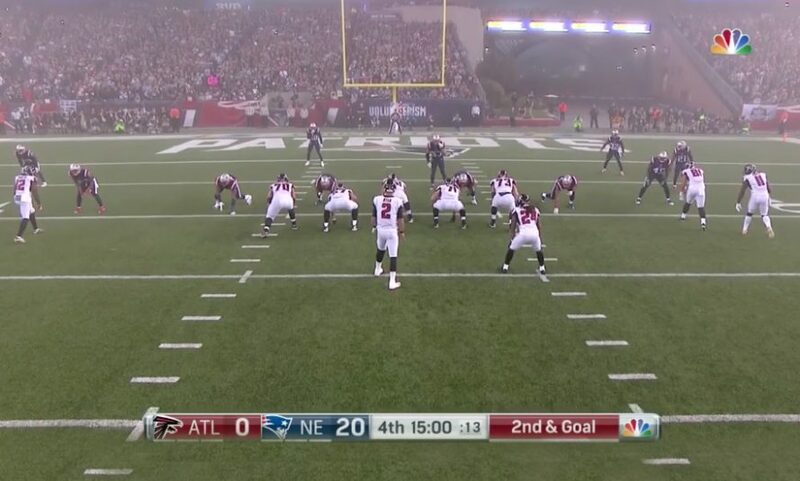 Fog led NBC Sports to use SkyCam as primary game camera for the second half of an Atlanta Falcons-New England Patriots game at Gillette Stadium. From a tech standpoint, each SkyCam WildCat system is equipped with Sony P1 camera and Fuji 18X5.5 zoom lens, and NBC Sports has worked with SkyCam and SMT to integrate SMT’s 1st & Ten line into the SkyCam angle that viewers will see. Behind the scenes, NBC Sports is trusting two of the industry’s best to pull off this unique task. Ed Martino, a talented camera veteran who has operated the SkyCam camera for NBC Sports since its NBC debut at Super Bowl XXXVII in 2003, will be at the helm tonight in Pittsburgh. He will be working side-by-side with SkyCam pilot Cody Taylor, another veteran of NBC’s Sunday Night Football. The decision to put SkyCam front and center comes after a couple of events over the past month where the traditional Camera 1 position became obstructed and NBC Sports was forced to use SkyCam as the main game camera. On Oct. 22, fog poured into Gillette Stadium late in the first half, making the field impossible to see from the tradition high game cameras, forcing NBC to use SkyCam as the chief camera in the second half. In addition, a couple of weeks later, halftime fireworks in Miami obstructed the traditional cameras, leading NBC to use SkyCam again but for a shorter time. TV viewers have been watching the traditional primary camera angle for decades, so there’s no denying that it’ll be a challenging transition. Gaudelli and Esocoff noted that they won’t lock themselves into using SkyCam on every play. In fact, they explained that, on third-down plays and on plays inside the Red Zone, they will likely use the traditional high Camera 1 position. Other challenges remain, including some issues that, as Gaudelli and Esocoff explained to SVG following that October night in Foxboro, limit SkyCam’s use as the primary camera position. Those issues include the fact that the action moves away from the camera, making it tougher for viewers to follow the action — not ideal particularly for an explosive play deep down the field. The duo are confident that they and their team can meet those challenges tonight.